This is our third installment of the 5 Incredible Car Facts series. This time, I am going to discuss some of the most amazing facts that include the Ford Model T, a Porsche-developed Sedan long time before the Panamera and the Tycan, and Adolf Hitler’s letter to Mercedes-Benz. He wrote it from his jail cell to beg for a car. As always, I’ve added two more interesting facts that will help you win any car-related bar talk fight. After inventing the production line, Henry Ford dramatically increased the production output of its Model T. Back in 1913; Ford was experimenting with the idea of a car production on a continuously moving line. 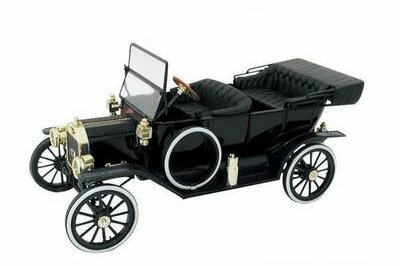 The story goes that the first production line was actually pulled by horses, then a tractor, then the Model T. After the concept proved successful, Henry Ford invested heavily in a complex system. This led to a massive increase in production. Basically, a complete, working Model T could roll off the production line every few seconds. Due to massive savings and basically, market monopoly, Henry Ford managed to pay workers $5 per day so they could actually afford the car they were producing. 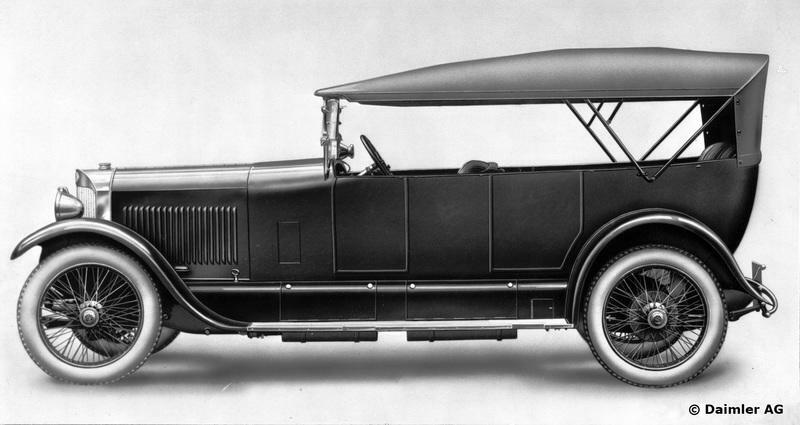 With Ford being the only large producer using the production line, the Model T was hitting the streets like crazy. Everyone was driving it. And when I say everyone, I mean 55 percent of the people who actually drove a car all drove a freaking Model T.
I am not joking; it was recorded that in 1916 55 percent of all cars on the roads were the Model T. This record, obviously, hasn’t been broken since and I doubt it will ever be. Just how powerful the sales of the Model T were can be seen upon closer inspection of data from 1923 which suggest that the Model T almost made up to 55 percent of all the cars on the roads even then. That is a huge accomplishment and a testament to the business case that made the Model T as successful as it was. In 1952, Studebaker and Porsche sat down at the same table and hammered out an agreement. An agreement so secretive no one knew about it until the early Seventies. The cooperation between the two companies included an obligation that Porsche had to fulfill. 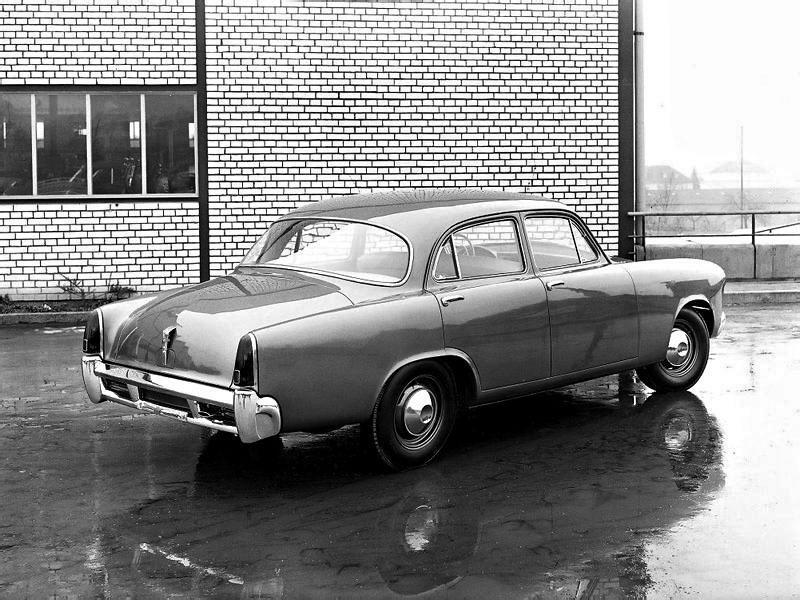 The German company was to develop a working prototype of the next Studebaker sedan. 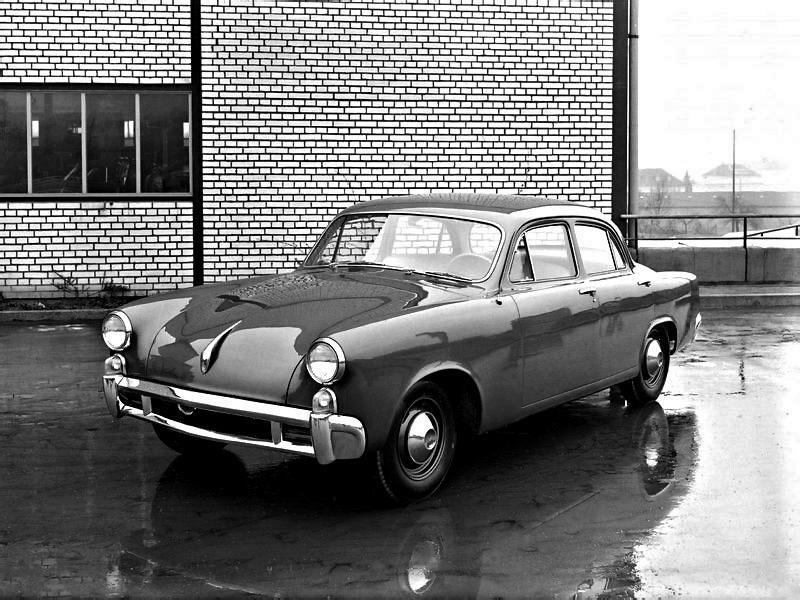 Porsche spent 18 months developing the car, and in November 1954 the German company delivered it to Studebaker. Ferry Porsche, Ferdinand Porsche’s son, was the one to hand over the keys. However, crippled by financial troubles at the time, Studebaker did not really invest a lot of time in assessing the prototype. Until 1956, that is, when a man named John Zachary Delorean (yes, that DeLorean) actually tested the car and reported that it had many issues and actually wasn’t adapted for sale in the U.S. Thus, the Porsche-developed car called the Porsche Type 542 never reached the production. It remained one of the oddballs of the car industry as a whole. It had a V-6 engine in the back, was a bit smaller than mid-sized Studebaker sedans of the time, but had quite different styling. One that would work better in Europe. It was a working prototype though, and Porsche even provided a few additional replacement engines for the car when it delivered it in November 1954. If you are into cars, you should definitely know this. Despite being the first man behind the Tesla Motor Company for years, Elon Musk actually wasn't the one who started it all. Back in 2003, Martin Eberhard and Marc Tarpenning founded the company, but it soon came to the brink of a collapse. Luckily, Elon Musk was the one to jump in and save it. Both of them actually remained in the company until sometime in 2008. 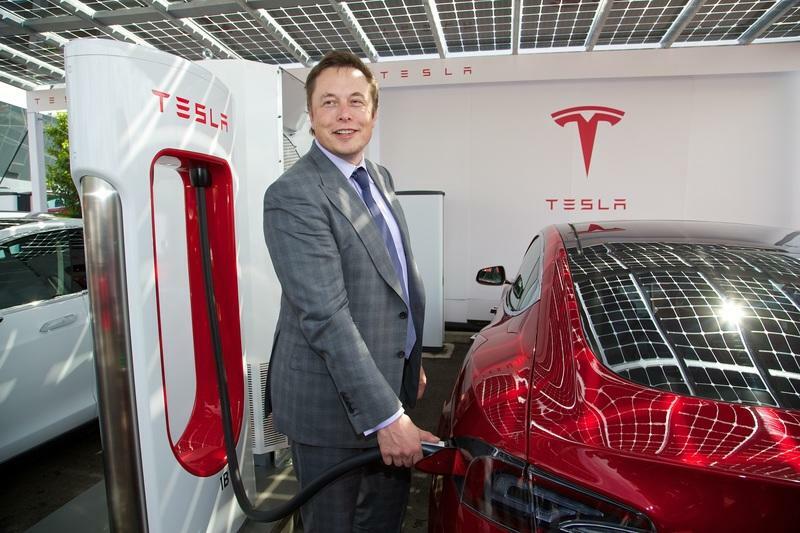 Elon Musk continued his investments from 2004 onward and made Tesla Motors what it is today – an electric car producer on the brink of going mainstream. 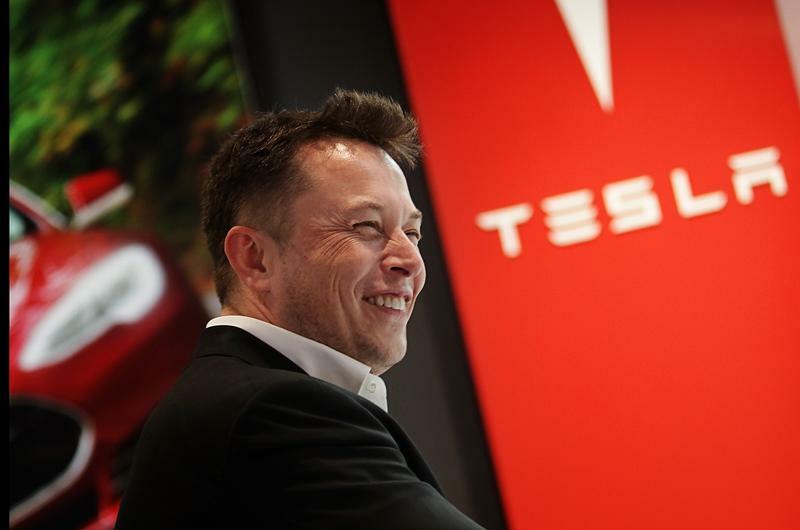 Interestingly enough, after leaving the company, one of the founders, Martin Eberhard actually sued Tesla’s CEO – Elon Musk, of course – in 2009. He said that Elon Musk actually wanted to rewrite history and set himself in the eyes of the public as the founder of Tesla Motors. That, of course, was not the truth. Nevertheless, Tesla Motors and Elon Musk are synonyms at this point in time and, while all of us do appreciate that Eberhard was the founder of the company, it is safe to say that Tesla wouldn’t be what it is if Musk din’t have a part of it. If it ever existed at all. After the unsuccessful Nazi bid to seize power in Germany by a coup in 1923, Adolf Hitler was arrested and imprisoned. However, he wasn’t idling but was actually quite active in prison trying to find a way to seize power in Germany once he got out. He needed a car. 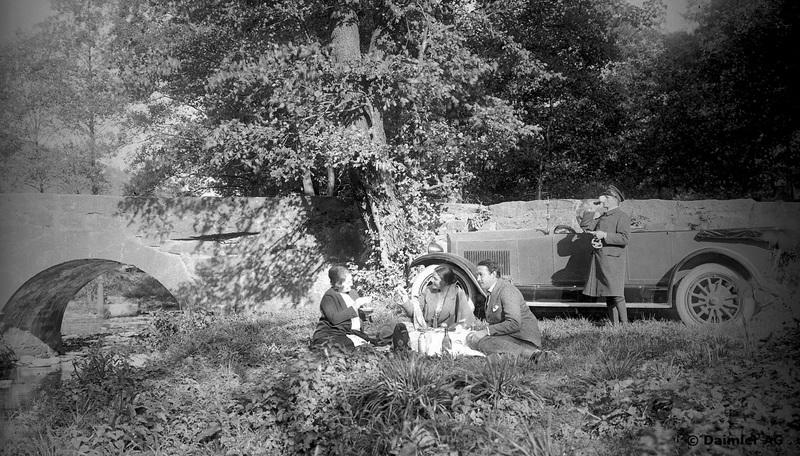 And not just any car but a Mercedes-Benz 11/40 – a sedan that was rather popular at the time. Considering that he did not have any money, Adolf Hitler figured he’ll get a loan. Caged in the Munich prison (where he wrote Mein Kampf), Adolf actually wrote a letter to Jakob Ferlin, the owner of a Mercedes-Benz dealership in Munich. In his letter, he asked for a loan. Actually, he asked for a car – the 11/40 model whose price was estimated at 18,000 Reichsmarks back then. “But the hardest thing for me at the moment lies in the fact that the biggest payment for my work is not expected until the middle of December. So I am compelled to ask for a loan or an advance. Naturally, something in the order of several thousand marks would be a big help." He also said a thing or two about the engine and possible problems with it: "That is the only thing about the 11/40 that makes me cautious. I can’t afford a vehicle every two or three years or pay for expensive repairs either." It is unknown if Ferlin ever got that Mercedes-Benz to Adolf Hitler. Later on, he had a fleet. A copy of the letter was found at a flea market and auctioned. The original was never found and is considered lost. So, eyes open, there is a piece of history somewhere out there. Even the copy is worth a lot. I will list some facts here that may make your brain hurt a little bit. Did you know that the car is the most recyclable product in the world? The recycling industry revolving around cars alone is so big, it is estimated to be the 16th largest industry in the U.S. alone. Heck, the industry manages to recycle up to 12 million cars per year in the U.S. alone. In Europe, 8 million. I mean, sick numbers! Interestingly enough, companies managed to find a way to recover up to 95 percent of aluminum used in a car. Steel is close to a perfect 100 percent. Recycling cars at such a rate made it possible for the industry to save up to 85 million barrels of oil, which would instead be used for the production of new car parts. Plastics - used for carpets, garden furniture, bins, etc.